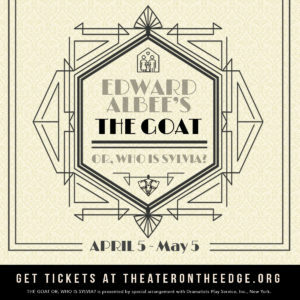 Theater On The Edge is proud to announce that Merritt Greene and Mark Anthony Kelly will star alongside ensemble members Allan Whitehead and Adam Minossora in our upcoming production of THE GOAT OR, WHO IS SYLVIA?, by Edward Albee. The show will open March 29, 2019. The Goat or, Who is Sylvia? is a one-act play, and its run time is approximately 100 minutes with no intermission. 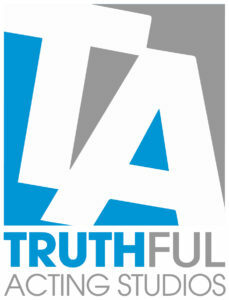 The play contains use of colorful dialogue and extreme mature themes. Parental guidance is suggested.